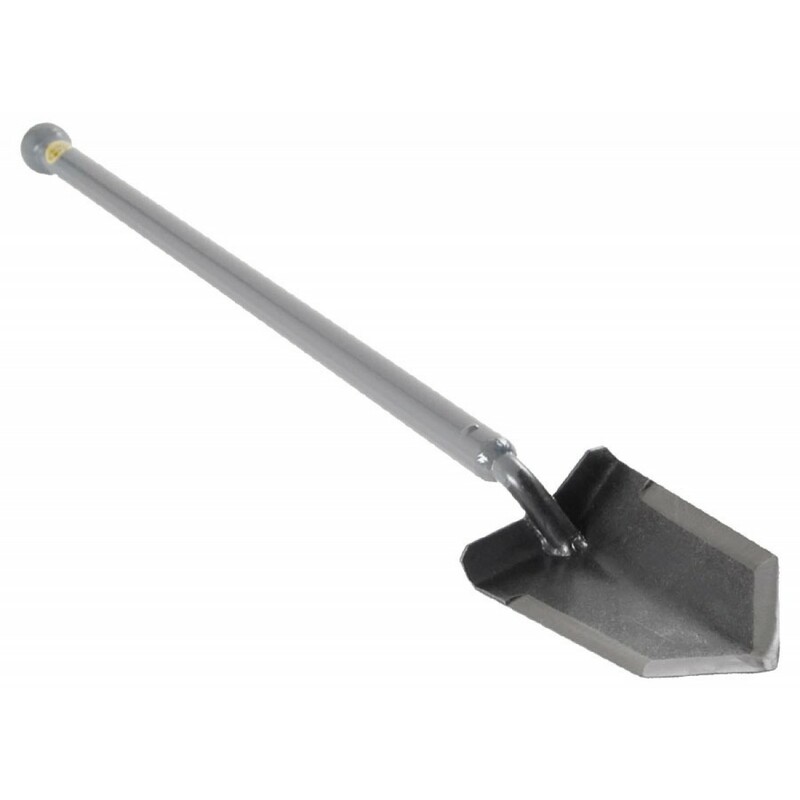 The Sampson Pro-Series long handled digging tool is perfect digging the deepest coins and relics. Choose either the T-handle or Ball handle digger. Made of aircraft-quality steel, super strong, rust resistant, smooth and perfect balance and weight. Long tapered cutting edges gives long life in hard digging conditions. Virtually self-sharpening during use. Overall length is 31". Excellent carbon steel with rust tendencies but really well made. I use Rustoleum camouflage paint ( green ) to make mine less noticeable. this spray paint cost less then $4 and has no reflection. Bites in dirt very well but with foot pressure even better. Then there's the side to side movement. All helping to make super clean plugs in fields. I like mine so much, considering Lesche trowel or 18" version. Been using this tool for a while now and had to write a review. It is the only tool I carry and use anymore. I have a ton of others that I have bought along the way and simply don't use any others at all. It is tall enough to stomp and cut plugs while standing and has enough weight to hack stubborn roots without swinging. But still is light enough to carry around while detecting. The reason I like the ball handle so much is I can fit the tool anywhere without snagging and I can use the ball end on tight holes and rocks that need budging. I can drop the handle through a loop and carry it for distances or even drop it in a pack and still be able to pull it out without it snagging on something. I really enjoy the quality of good tools and this one always feels good in the hand. I ordered the Sampson T-Handle at first, seeing a number of detectors using it. A few months ago I found out it was back ordered. I didn't want to wait so I ordered the Sampson Ball Handle, I was unsure of it. Surprisingly I like it very much. Cutting into hard or soft dirt works well. 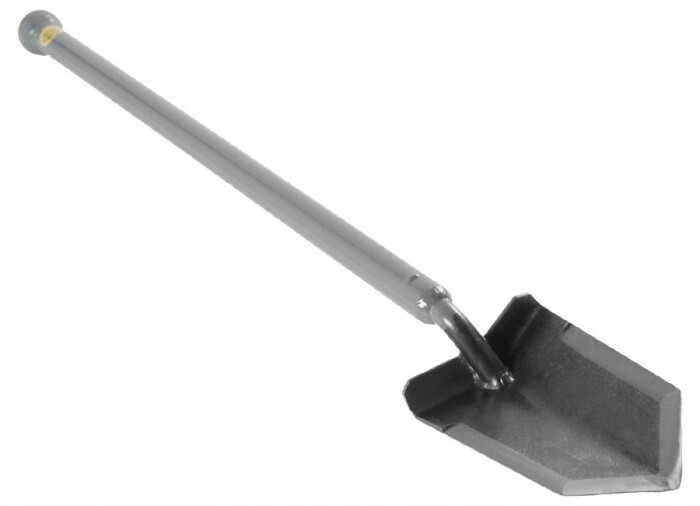 I recommend it without hesitation to all that need a digging tool. Big enough for digging up coins and small enough to return the dirt plugs not showing where you dug. Good Luck. Smaller than a shovel and bigger than a Lesche! One piece solid. Been using one for 3 years! I was tired of using an army folding shovel because the blade was too large. 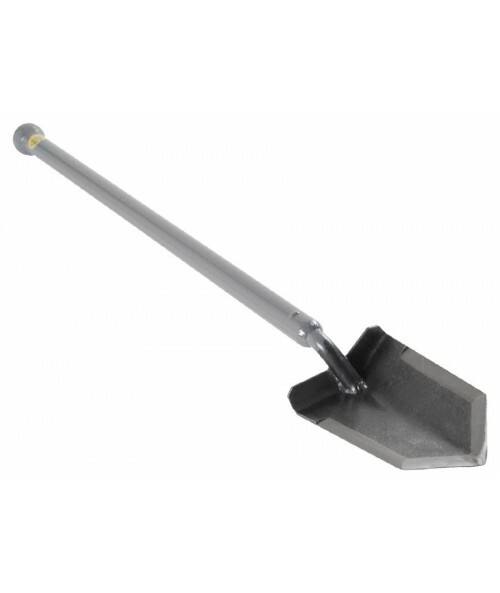 This has the perfect width to dig nice clean quick holes. I prefer the Ball Handle, but some like the T Handle.